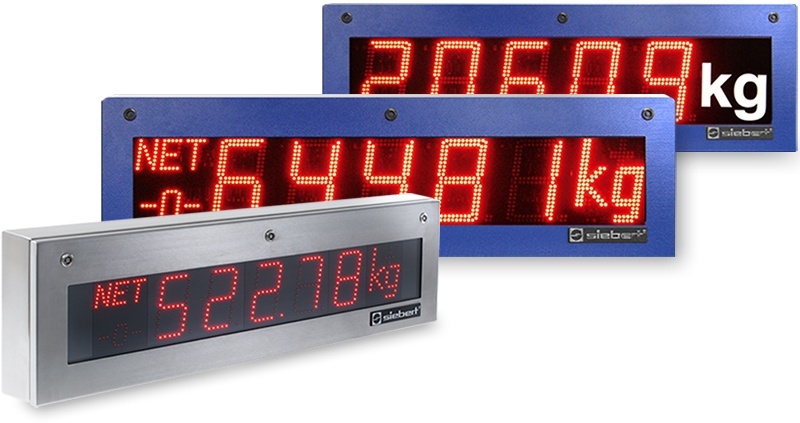 The large size displays for weighing technology are special versions of the S302 series. 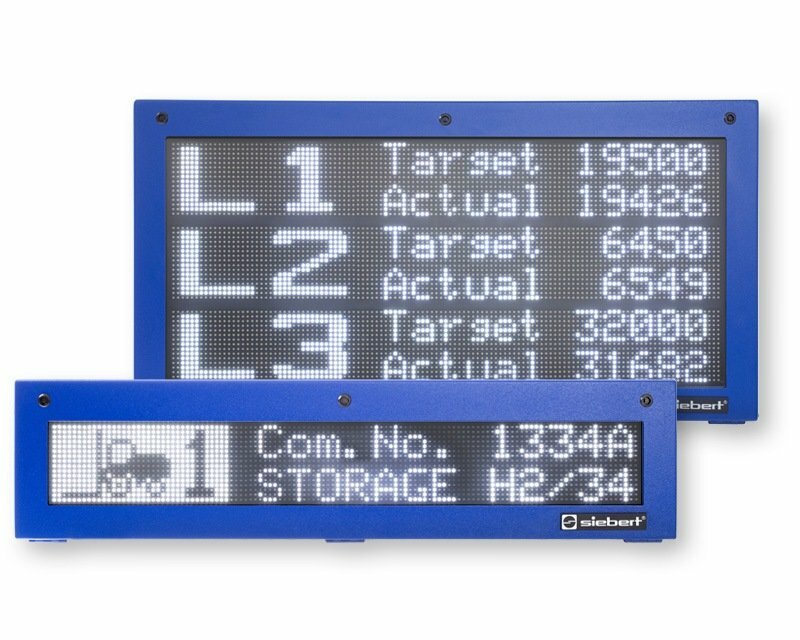 They have a four or five digit LED display with 57, 100, 160 or 250 mm high digits as well as a dimension symbol in film lettering or LED technology. The LED version shows the values g, kg, t or lb. Devices with status indicators to show the symbols -0-, PT, NET and T are also offered.